An archived project can still be restored. A deleted project, however, cannot be recovered anymore. The project will then be moved to the Archived section of your Dashboard. 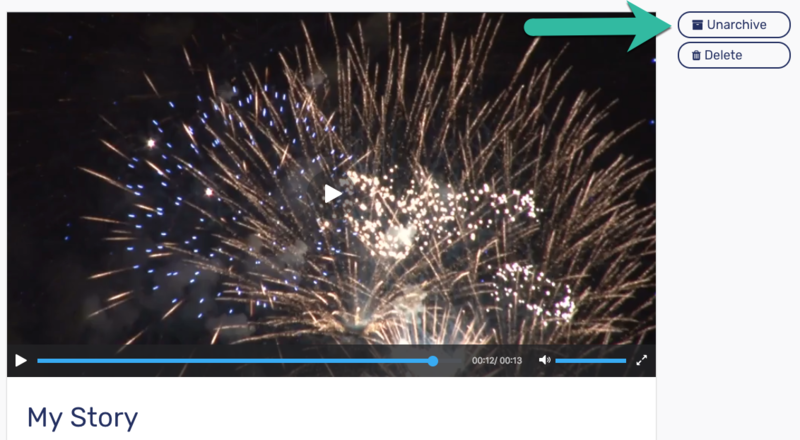 Please note that if your project is being shared with other Moovly users, this sharing function will stop upon archiving. In other words, the users you've shared the project with will not see it anymore in their Shared with me section. Note: Deleted projects cannot be recovered, so make sure you don't need it anymore! 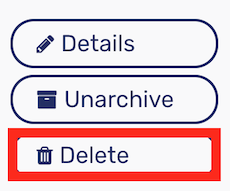 When you click Unarchive, your project will be moved back into your My projects section.